This is what “fast food” looks like in the Matykiewicz household. Wild-caught mahi mahi fillets that I bought in the frozen section at Costco, brushed with olive oil and seasoned – and baked according to package directions. I buy plain ones and add my own seasonings so I know what’s in it – plus, it makes life more interesting, since I can switch it up! These have sea salt, coriander, turmeric, garlic & onion powder, and black pepper sprinkled on top. I dropped a little lime essential oil on them, too, just before serving! 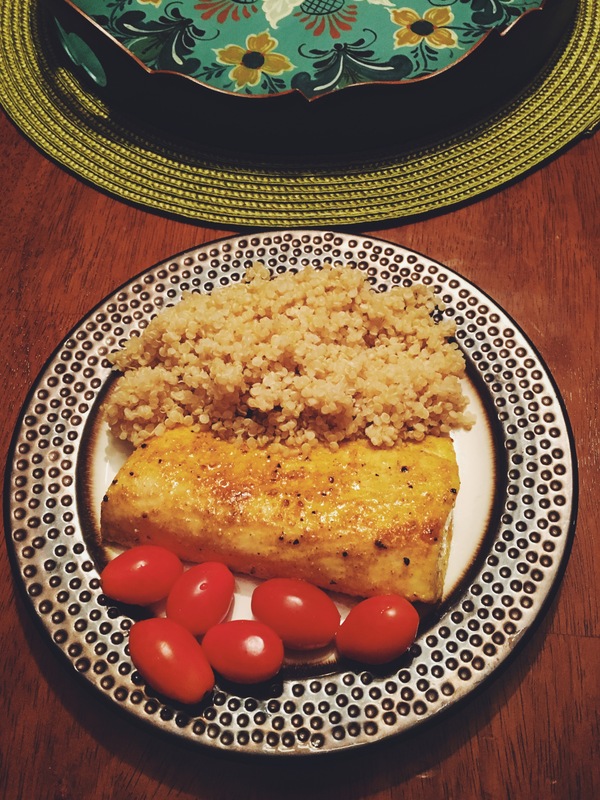 Quinoa – sooo easy and full of protein! Fresh grape tomatoes – no-prep veggie! Wash & serve. Quick & easy whole food dinner! Prep time was 10 minutes tops, ready to eat in 20-30 minutes.